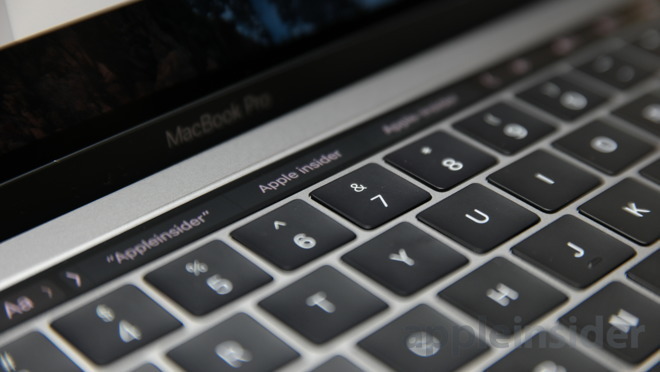 Prospective lawyers wanting to attend February's North Carolina Bar Examination will have to disable the Touch Bar if they're bringing along Apple's 2016 MacBook Pro, according to an announcement. Before the start of the exam, a proctor will ask if anyone is using the laptop and have either another proctor or an ExamSoft technician ensure the feature is disabled, the state's Board of Law Examiners said. The Touch Bar must already be off prior to entering the examination site. Instructions note that the feature can be disabled by going into the Keyboard menu under System Preferences, clicking the drop-down for "Touch Bar Shows," then picking Expanded Control Strip. The board didn't explain its policy, but it's presumably concerned about cheating. The Touch Bar is designed to replace physical function keys with context-sensitive touch commands —a programmer could, however, conceivably write software that would display test answers. The Touch Bar is so configurable that people have managed to get games such as Doom running on it, even if they're not playable in any practical sense. Removing the technology can make a Pro more difficult to use, forcing owners to click through menus to accomplish common tasks. Update: Other states are also coming down hard on MacBook with Touch Bar as it pertains to bar examinations. California, for example, will not allow applicants to bring the laptop to the upcoming February 2017 exam because it "contains certain embedded features that makes it problematic for use" during test administration.